• Open to All: LAKC Sponsors are eligible to field a team at NO cost. Any current LAKC member is eligible to field a team for $500. • Dan Wheldon Excellent Trophy: Will go to the highest scoring LAKC Sponsor team. • (4) Drivers per Team: Teams must consist of four drivers. • No Duplicate Drivers: A drive-class combination can only be used once in the Team Series. Ex. Sally in PRD Senior can only be on one team. • Team Scores What the Drivers Scores: Driver points earned from individual class are counted towards team score. Individual driver points already include 1 drop. Team Scoring starts with the February race. Teams signing up after that will be retroactively scored from February. • Lowest Driver Points Dropped: Final team score consists of top three drivers. The lowest scoring driver points are dropped from the final team score. • Two Driver Changes before 4th Round: Teams are permitted to make a maximum of two driver or class changes prior to the fourth round of racing. • Keep lower Driver Points: A driver change will result in the replacement driver keeping his points or the points of the driver replaced which ever points are lower. Teams are FINAL after 4th round. • Announce on LAKC Forum: To establish or make changes to your team, teams must post to the new “Team Championship Series” forum and notify the BOD for a driver change. 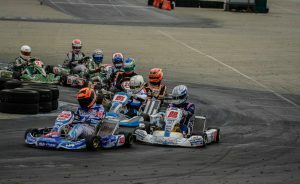 • Payment: $500 private team entry fee must be received by LAKC via lakc.MotorSportREG.com before the second conducted series round (i.e this is normaly Round 2 of the schedule, unless Round 1 or Round 2 are cancelled). Team lists from all teams must also be submitted to the LAKC Team Championship Series Forum by that date. Team name and roster, must be received by LAKC BOD and via MotorSportREG.com before March 29, 2017 and posted on the LAKC forum.